JASON GILLESPIE was linked again with Australia this week, but he has said he’s staying with Yorkshire – and that’s good news. 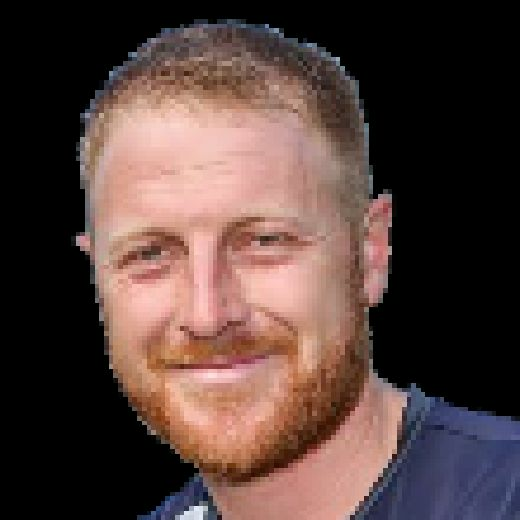 It is inevitable at some stage that Jason will leave the club, there’s no doubt about that as he’s very sought after with the record that he has got at Yorkshire. Yorkshire's Tim Bresnan celebrates the wicket of Lancashire's Steven Croft. He’s been highly successful and is one of the most sought-after coaches in the world at the minute. But while he will leave at some stage, it is nice that the speculation will go away again for a bit and we can concentrate on the cricket. It was a fantastic win for us in the Roses game against Lancashire this week given the position we were in on the first morning at 29-4 and being inserted in difficult conditions where the pitch was doing a bit. They were perfect overhead conditions for the bowlers and it was one of those mornings where they bowled well and the lads seemed to nick or miss everything. Considering we were in that position, to get a decent lead in the first innings was fantastic and I do think it was our best bowling performance of the year. We bowled well for a long period of time. We had spoken in recent weeks about having sloppy periods of play, but I thought we were outstanding throughout the game with the ball. A lot of credit goes to Tim Bresnan for that as well because he just balanced the attack and to have him back, you can attack and defend through him. We know Liam (Plunkett) and Jack (Brooks) are very attacking bowlers and at times, they can go around the park for a few runs. But we know they are going to take wickets and with Steve Patterson and Bres in the attack, it gives me great balance. You sort of take Bres for granted when he is there and don’t realise the job he does with bat and ball and the experience he has got around the team. His attitude rubs off on everyone else around the team as well. To have him back now, hopefully we can keep him fresh for most of the year if we look after him. And having him back is like a new signing, really. A word too for Rash (Adil Rashid), who took seven-for in the game. He probably didn’t bowl as well as he has done in some previous games at the start of the season. But what he does well for us is clean the tail up and whenever teams are six or seven down, we always want to get Rash on as the tail always struggle to pick him. It makes a massive difference when you bring him on – they might get hold of a few and hit a few boundaries, but you can guarantee that eventually he will get them out. He also scored some runs down the order against Lancashire which really were valuable for us. 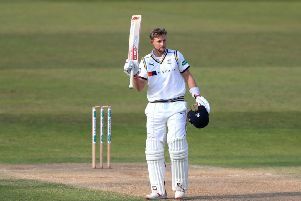 It is good to see he is going to be at the club now long term after signing a new deal and I am sure Adil wants to finish his career at Yorkshire. Looking at us, there’s plenty left in the tank. The top-five batting has obviously been a concern all year and looking at the stats the other day, there’s no one averaging over thirty. I can’t put my finger on why that is happening. It is definitely not down to a work ethic or arrogance or resting on laurels. I see lads coming in on their days off and practising hours and hours in the nets, indoor and outdoor. You would like to think over a period of time that you get your rewards for that. It is not always highlighted when one or two are out of form. I wouldn’t say our top five are out of form as such, but just not getting big, big scores. I guess it is encouraging that we are still in the hunt at the top of the league and not playing to our full capability. I have had an injection in my wrist which will put me out for seven to ten days without any cricket, which is disappointing as I was looking forward to playing some part in the fifty-over competition at the start of it. But I am not willing to risk that at the expense of missing four-day cricket. It has been something that has been there for the past four or four weeks and is an ongoing thing. I have seen a specialist about it and ultimately I will probably have an operation at the end of the season.